Due to the strength and complexity of these protocols, we recommend you consult with your practitioner before using this protocol. The Deluxe Detox Qube® is a larger, more complete version of the Detox Qube plus EDTA that allows people to follow the protocol for a longer period of time at larger doses. This makes for a more systematic and thorough process and may be especially effective for more acute clients. The glutathione system may be supported in a variety of ways to enable natural elimination. A strong glutathione system enables natural cleansing support at the cellular level, especially if unwanted element burdens have been lowered. The Deluxe Qube® contains elements designed to provide systemic support. **Please note: this protocol contains product that must be stored in the refrigerator. The Deluxe Detox Qube® is a larger, more complete version of the Detox Qube® plus EDTA that allows people to follow the protocol for a longer period of time at larger doses. The Delux Detox Qube® includes a deeper, broader array of products to nourish your cells. The glutathione system may be supported in a variety of ways to enable natural elimination. A strong glutathione system enables natural cleansing support at the cellular level, especially if environmental contaminants and other body burdens have previously been lowered by other protocols. The Deluxe Qube® contains a symphony of elements designed to provide full systemic support. Beyond the benefits of the Detox Qube® with EDTA, we offer the ultimate, The Deluxe Detox Qube®. This protocol includes liposomal formulations of glutathione, vitamin C, R-Lipoic acid, EDTA, MethylB Complex, and pure phosphatidylcholine. All utilize nano-liposomal delivery for rapid and efficient uptake. The antioxidants glutathione, Vitamin C, and R Lipoic acid provide support for detoxification and the elimination of harmful compounds. EDTA offers support for chelation and elimination of metals. MethylB Complex offers a complete suite of bioactive B vitamins to support energy and assist the body in maintaining optimal health. Phosphatidylcholine nourishes cells with the basic building block of all cell membranes. This protocol also offers the highly popular Dr. Shade’s Bitters No. 9, to help support bile flow and facilitate the elimination of harmful compounds through healthy bile flow. 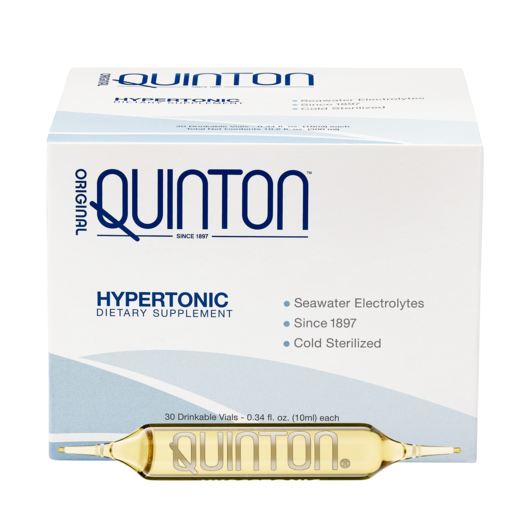 Included as well are the Original Quinton Isotonic® and Original Quinton Hypertonic® products. These are a complex of 78 rare minerals and trace elements provided by seawater nutrients and cold filtered through .22 micrometer dual filters to preserve all healing elements. It is thought that Quinton products can restore the biological terrain, and support homeostasis and natural rehydration. Finally, all effective, natural elimination can be supported by a binder that adheres to harmful compounds excreted in the bile. This can help prevent reabsorption in the intestines. IMD Intestinal Cleanse is a proprietary thiol-functionalized silica, which can bind to such elements in the body. Once captured and bound, they can be excreted through the gastrointestinal tract. These products are recommended for use following Dr. Christopher Shade’s Deluxe Qube® protocol. This will facilitate completion of what Dr. Christopher Shade calls the “Three Levels of Cleansing.” Each successive level uses higher dosing than the previous level, and levels should be completed in sequence. I have been doing different protocols for over three decades and this is beyond anything on the market by far. This system is both the most scientific, effective and forgiving way to detox on the planet. My health and those I have shared these products with, has improved on a quantum level. I look and feel years younger then before I started Using them . I’m continually adding new products as they come out and continue to detox, now seeing a new level of vitality without the healing crisis associated with everyone else’s Archaic systems for detox.